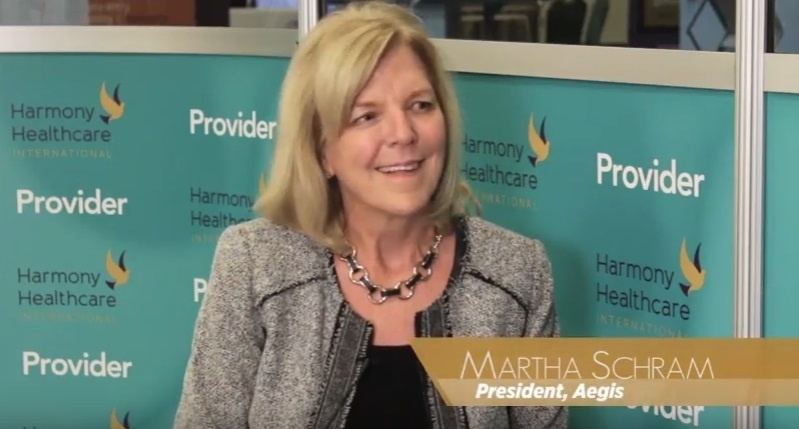 Kris Mastrangelo, President of Harmony Healthcare International (HHI) interviews Martha Schram, President of Aegis Therapies in the AHCA Provider Lounge. Martha discusses how the role of rehab will continue to change in order to meet the standards of person-centered care. Deploying a risk management mindset, the rehab team needs to help the SNF accomplish its goals and reduce avoidable hospitalizations. (Audio transcription below).